This text is aimed at people living anywhere but Finland but it might also give some new perspectives for a Finn too. If you have ever visited or even lived in Finland you probably have some kind of image in your mind about how that country differs from your homeland and what did you liked and disliked there. Depending on where you are used to live and where in Finland you have visited these opinions vary of course. As a native, 25-year-old Finn I share my own limited view of our nation with its people, culture and environment. First of all, Finland is relatively sparsely populated country with only few bigger cities and many smaller village settlements around the countryside. Citizens of bigger cities live more or less like in any other country, working, studying or being jobless and relying on social security. Being jobless here usually doesn’t threat ones well-being, since the financial supports are relatively big. Apart from making living folks in cities hang out with their friends doing various activities or -unfortunately- just drinking at somebodys home or at bar. Not an issue of bragging but alcohol consumption of average Finn is quite high in global standard. Whereas in many countrys of southern Europe they have a custom to drink a little bit of wine with lunch, Finns are more often determined to get drunk when they open the bottle. Something to be proud of Finland is that the most of our landscape is covered by forests and lakes. That has had a significant part of developing of Finlands society, culture, economy and our national mentality. Whether a Finn lives in city or countryside, forests are never far away and it offers countless of possibilities to recreation and bussiness. How does an average Finn relate to nature? Very common activities are -even for town citizens- to go for a walk or jog at some forest path. Also many people make use of berries, fungi, game and fish that our nature bountifully provides. It is also possible to own a summercottage in FInland if you are wealthy enough. For many, it is even vital to their mental health to be able to escape their normal busy life into woods and then cottages are such a luxury. 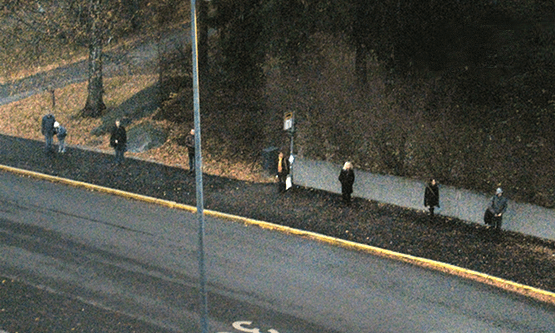 You may have heard a common stereotype of Finnish people being very shy or introverts. Perhaps you even made that conclusion yourself while visiting Finland. Of course there are many people to confirm that belief but having lived here for my entire life I would’t make that simple. In my quite a little own experience of foreigners I would say it is more about interest. If a Finn likes you and wants to be your friend then he/she will probably chatter with you openly. I don’t know how it is in another countries but I have heard that for example Americans can’t stand silence whereas Finns even prefer it. That is really ok in many situations but sometimes we consider it awkward too, at least on a date. It’s true we have beautiful forests and lakes, but do we, the city folks, really enjoy them as well as we could? I used to live in a suburb which was very close to nature, I could even see a small beach and a lake right in front of my apartment window and I would often visit it. But most of the time I was the only one there, and the reason behind it couldn’t have been the lack of people because there sure was several block of flats around there. I love finnish summer, people are smiling and the sun doesn’t go down. We spend time outdoors enjoying the warmth and company of our friends with no hurry. Unfortunately this only lasts for a couple months, the rest of the year is quite the opposite. This might seem a bit deep, but I feel like this has something to do with the so called “finnishness” and how we as finns are today. Especially when it comes to strangers, we don’t like to open up about our problems and will rather keep them to ourselves. Perhaps this comes from the era of wars, where we focused on surviving and not complaining about it. Though maybe there is a change already in progress, I would like to see a day where everyone would be more open and nice to each other.